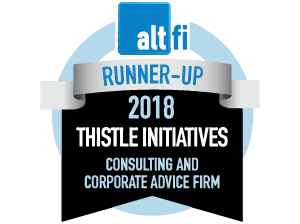 At Thistle, we appreciate the power of technology to deliver practical and efficient compliance solutions. So much so, that we have invested in developing IT solutions which are driven by our first-hand experience and are specific to the financial services market. The result is Compliance Star. Compliance Star offers effective and efficient remote management of Appointed Representative (AR) firms via real time data collection and reporting. This improves overall regulatory oversight for the principal whilst simultaneously improving the AR firms experience. Compliance Star is a technology enabled compliance platform that facilitates compliance management, work flow and monitoring of firms authorised by the Financial Conduct Authority (FCA). Compliance Star is underpinned by a ‘fail-safe’, calendar-based task management system which allows for both automatic and manual setting of tasks, notifies actions, populates deadlines into a calendar, issues reminders and monitors for completion. The platform reduces compliance burden significantly and is currently being used by leading regulatory networks. Compliance Star enables complete tracking of internal regulatory processes. It provides up-to-date single point data access combined with the ability to produce FCA required reports on such data, saving time and cost. If you are looking for control, we think Compliance Star is just the solution you need. What can Compliance Star do for your business? Compliance Star has two primary benefits: it aims to reduce the administrative burden on authorised firms while still ensuring they can evidence robust compliance arrangements and controls. The system works for both directly authorised firms wanting to monitor branches or sub-brokers, as well as principal firms needing to monitor and supervise Appointed Representatives. It is suitable for firms across all sectors of the financial services industry. Whether you are an investment manager, Peer-2-Peer lending platform or an insurance broker, Compliance Star will work for you. All modules have been designed to provide evidence of strong compliance controls and positive outcomes and offer valuable MI at the touch of a button for robust management and board oversight as well as efficient FCA Gabriel returns.